As a blogger, you must know about backlinks of your website to improve your website ranking. Learn 8 amazing Free Online Backlink Checker Tools in this post. Backlinks play an important role in Search Engine Optimization (SEO). Formerly, a site which has more backlinks gets more rank in search engine results. But gone are the days when Ranking was based on the total number of backlinks. According to the updated Google Penguin’s Algorithm, Google gives low value to the low-quality backlinks. Now, the ranking is decided only on the based on high-quality backlinks. If you want to check how much high-quality backlinks your website has this post is for you. In this post, I am going to share best Free Backlink Checker Tools for your website. These tools will help you analyze high-quality backlink of your website. Why should you use Backlink Checker Tools? Backlinks Checker Tools will help you to find which sites ae linking to your website. You can also check backlink profile of your competitor. Helps you to analyze incoming backlinks to your website. You can concentrate on creating do-follow backlinks. Now, let’s see what are best free backlink checker tools. SEMRUSH is one of the popular Backlink Checker tools of SEO which you can use right away to check backlinks of your website. Additionally, it has an extensive database which is updated regularly. Hence, you can check the status of backlink profile regularly. I am personally using SEMRUSH on my blog. Moreover, SEMRUSH is a highly-robust tool. Besides, you can check quality backlinks of your website. Also, you can analyze backlink profiles of your competitor with SEMRUSH. Hence, you can compare your backlinks with other domains. Apart from this, SEMRUSH is a great tool for keyword research. 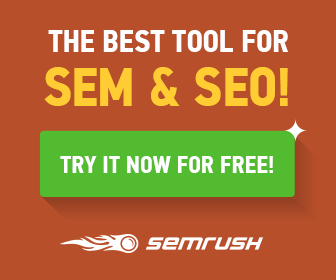 You can find out targeted keywords for your website with SEMRUSH. Most of the blogger use SEMRUSH to find out high-quality keywords for their blog/website. Another best tool in online marketing is Majestic SEO. It offers various features to analyze backlink of your website. With Majestic SEO, you can keep an eye on incoming external links to your website. Apart from this, you will get an overview of Referring domains, Referring IPs, and Referring Subnets. Majestic SEO has a large database of links. You can also view backlinks profile of other domain. With this report, you can evaluate which strategies they are using to get quality backlinks to your website. Hence, you can use better technique to get high-quality backlinks for your website. Moreover, you can find out link errors of your website. Ahrefs is one of the best Backlink Checker Tools for online marketer professionals. This tool provides you complete insight into your competitors’ backlink profiles. Besides, it is very easy to use tool. You just have to enter the URL whose backlinks you want to see. After that, you will get the detailed analysis of the backlink profile of the site entered. Further, its database is regularly updated. So, you will get the most updated backlinks data. Also, you need not worry about the accuracy of the information. Furthermore, you can get anchor text analysis of your website. Although, there are many Backlink Checker Tools available online but Ahrefs is one of my favorite. Open Site Explorer is one of favorite Backlinks Checker tools of most of the professional and bloggers. 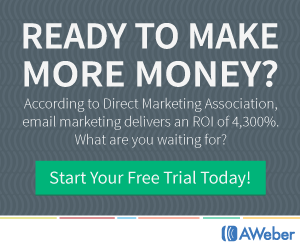 The best thing about this tool is it provides you instant results. When you enter an URL of a website in pen Site Explore then you will get the complete analysis report of backlinks within seconds. Apart from using this tool for backlinks research, you can also use this tool to local best link building opportunities. Further, you can find out the low-quality backlinks which are holding your website back. Furthermore, with Open Site Explorer tool, you can review other information of your websites such as PA, DA, Spam Score and Anchor Text. It is one of the worth trying Backlink Checker Tools. OpenLinkProfiler is a free Backlink Checker Tools. It is another most recommend tool used by many online marketers professional. Additionally, the main quality of this tools is that it provide the freshest backlinks of a website. It shows the fresh backlinks that were active in last 90 days. It means you it doesn’t count outdated backlinks. 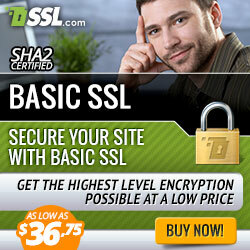 Besides, it has a large database which can count more than 2, 00,000 backlinks of a website. Further, you can export 1000 backlinks in .csv format. This tool is best for those who want to see fresh backlinks on their website. Linkody is best automated backlink checker tools available online. You use usually check your backlinks manually then you must know it is time-consuming. But Linkody automates the whole process. The popularity of Linkody is increasing continuously because of its automated functions. Linkody provides you the notification when you gain new links to your website. Also, it notifies you whenever you lose a link. It is very important for you to know whether you getting or losing a link. Further, Linkody has the ability to find spammy links of your website. You can set up daily email notification in Linkody tool. It will send you daily reports of your website backlinks. Furthermore, you can have a closer look at the backlinks of your competitor using this tool. By analyzing daily reports, you can keep your link profile healthy. I personally love this tool because of its features. Monitor Backlinks is one of the most recommended SEO tools for analyzing a website backlinks. They have a tagline “The easiest way to check your bad links and your competitor’s good links”. It is clear from its tagline that you can monitor your bad links which are decreasing the value of your site and your competitor’s god links which are increasing their ranking. Apart from this, you can also monitor your keywords in Google with this tool and compare your rankings with other domains. They also notify you when your competitor’s get new high-quality backlinks. Further, they will notify you whenever you gain or lose any backlinks. Monitor Backlinks handles a large set of data in one place. You just need an Email account and they will send you regular updates of new or broken links of your site as well as provide you stats of your competitor backlinks. Hence, you can identify which links are most valuable for your site and which are not. LinkResearchTools is one of the industry-leading Backlink Checker Tools which offers various features. One of the best advantages of using this tools is it fetch data from 25 link backends such as SEMRUSH, Google Analytics, Moz, Facebook, twitter and much more to provide you a deep analysis of your backlink profile. Apart from this, it provides you updated reports of backlinks that mean you will get most accurate data for your backlinks. Another best thing about LinkResearchTools it allows you to analyze every backlink by 97 metrics and dynamic link profile filters. You can customize these filters according to your need. You can compare your link growth with your competitors. Find out high-quality backlinks of your competitor. Restore good backlink profile from an expired domain. 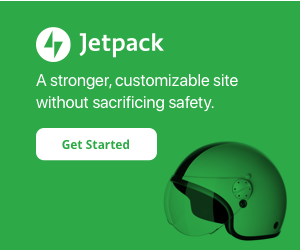 Recover link juice after a site migration. Monitor your site inbound links and improves existing backlinks. I hope you get an idea that you useful this tool is. It offers you many other unique features. You should try this amazing tool. It is worth trying. Marketing efforts are not that easy. You have to spend lots of money and time to get success. Backlinks are very important to increase your site ranking and traffic. You need different tools to keeps your backlink profile healthy. Check out these 8 amazing Free Online Backlink Checker Tools which I have mentioned above. I am sure you gonna love this tool. If you are already using any other backlink checker tools which offers great features, then please share with us via the comment section. Also, try these tools and let me know which tools works best for you. If you like this post, share your views with us.